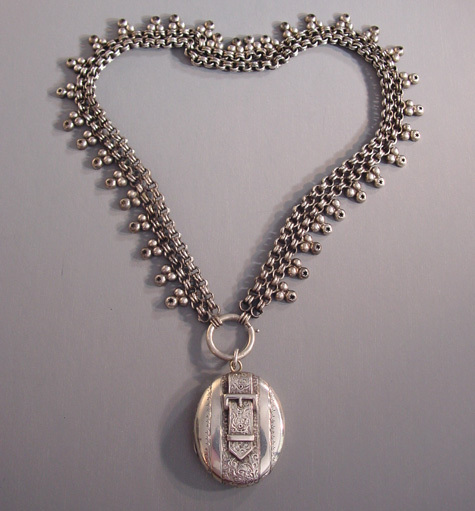 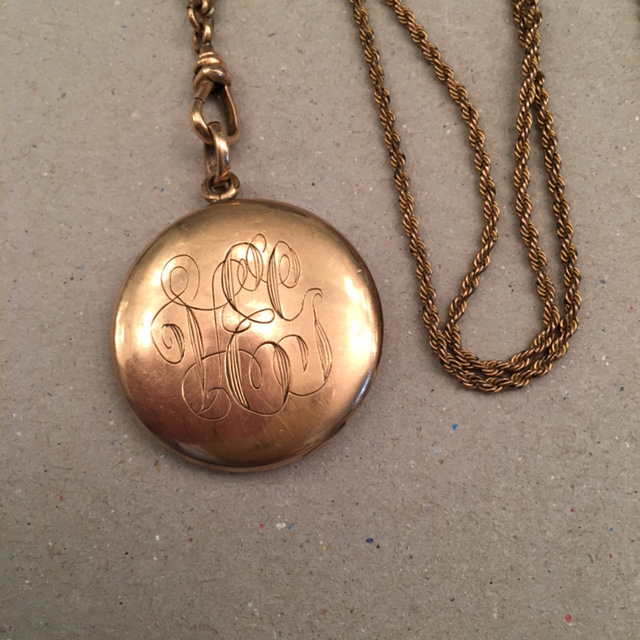 LOCKET, slide and chain with the beautifully engraved initials "VEG", circa 1920. 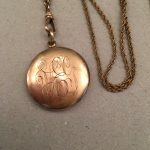 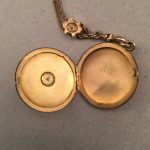 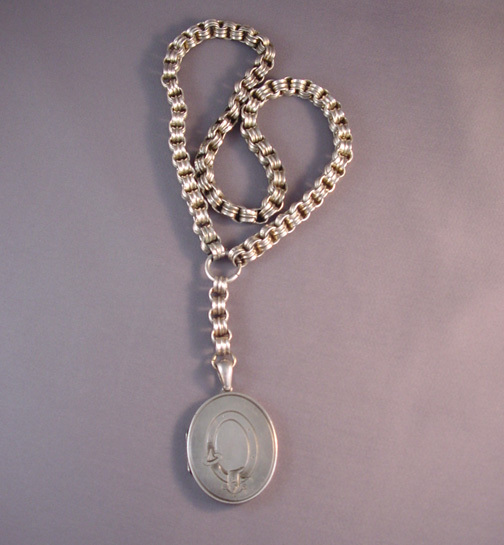 The locket has beautifully engraved initials and has space for a photo inside but no fittings. 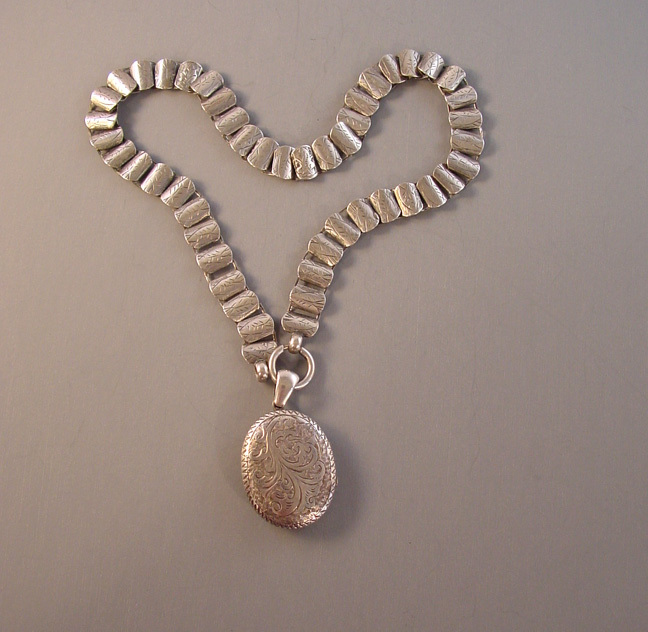 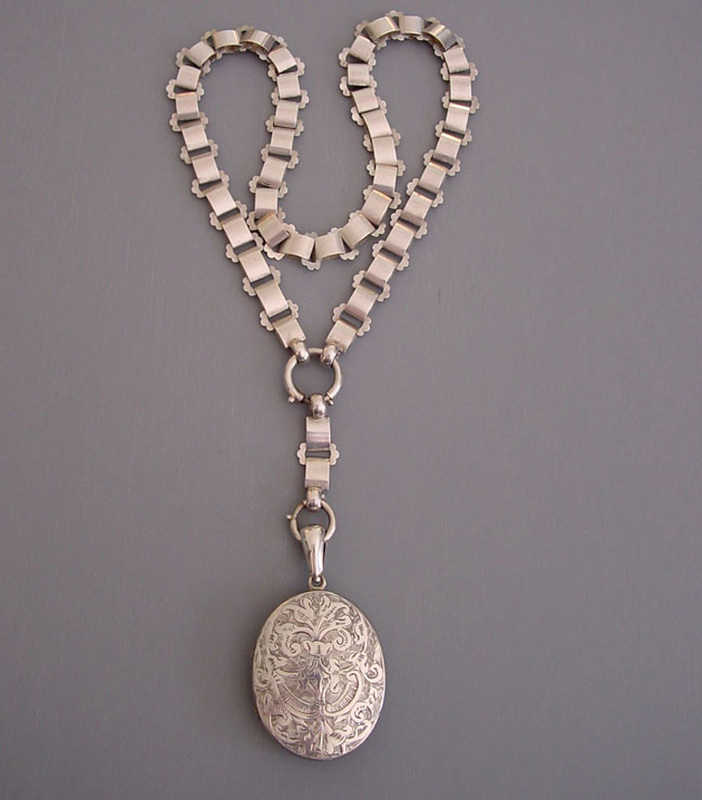 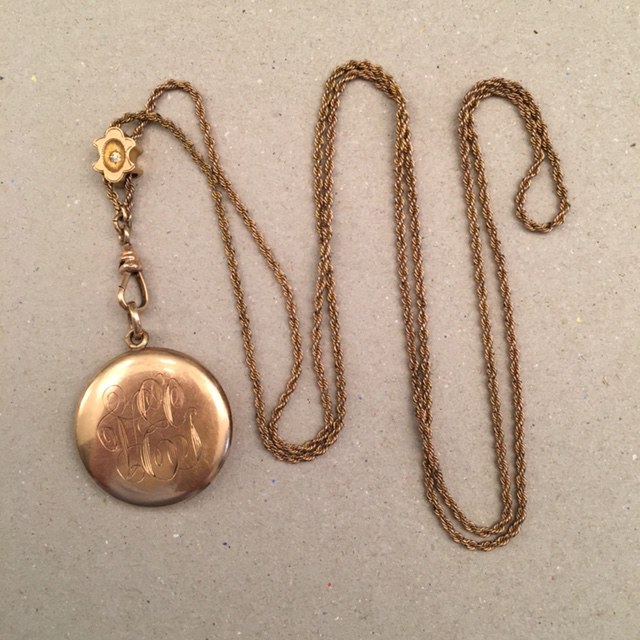 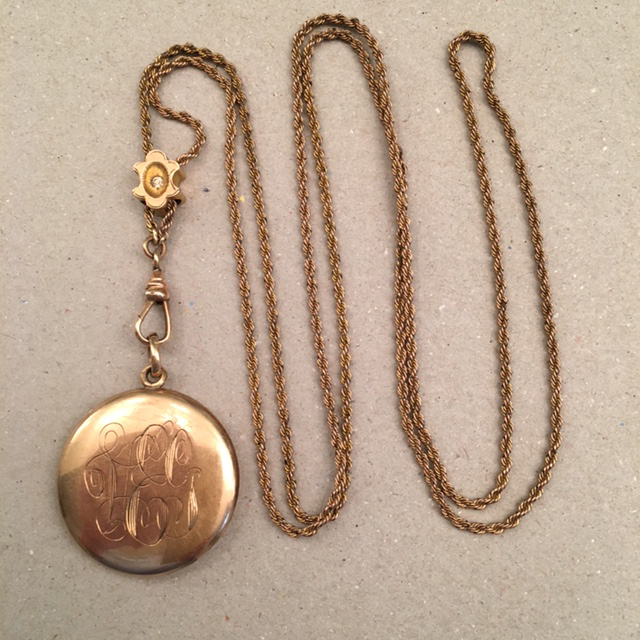 The chain is 32" long and the locket is 1-1/8" wide, and it is marked inside with a maker's mark "W&H Co" and "1/4 gold shell". 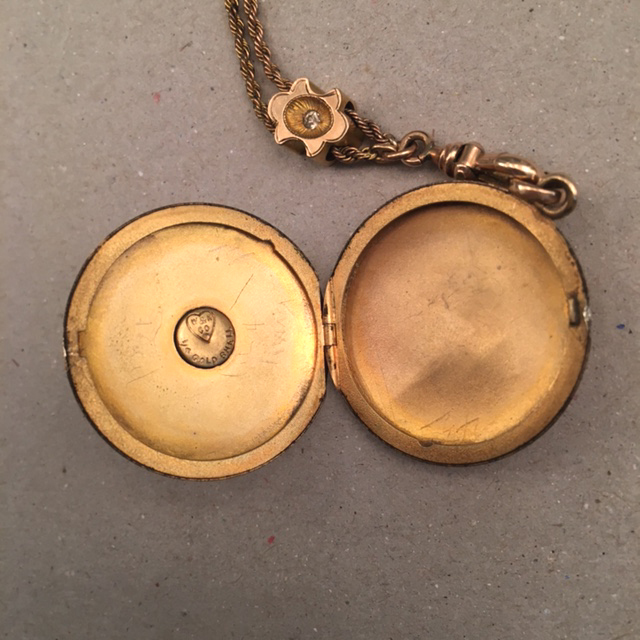 Both pieces are gold filled and the stone in the slide is a rhinestone.